Get ripped without losing your mind, your free time, your cool, or becoming a gym rat. Maintain your life and become more badass than ever! I've never had much time for the word "can't." I've always dreamed big, so I've heard that word tossed my way a lot. 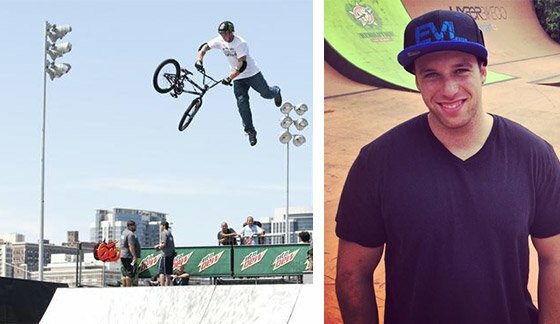 I heard "can't" at age 16 when I decided I wanted to become a BMX pro after my mother died. I began riding as a way to escape, and I was on my bike for hours and hours everyday. I was so into it as an escape that I didn't even realize how good I was getting! 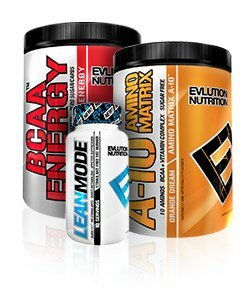 I heard "can't" again when I decided to start a supplement company after my freestyle days. Who does that, anyway? During my years on the circuit is when I fell in love with the sports nutrition world. I thrived on branched-chain amino acids, beta-alanine, and protein powder when my competitors were slamming Big Gulps. I thought: Why does the action sports industry have no clue how beneficial proper nutrition and supplementation are? It became my mission to change that. 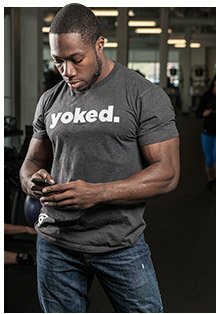 Mainstream fitness and bodybuilding also have way too much "can't" for my taste. You're on a diet so you can't eat that. You're supposed to be fit, so you can't crack open a beer now and then. Give me a break. What's the point of having a healthy, fit body if you can't ever have fun with it? Denying yourself the small joys in life is a guaranteed way to crash and burn. At EVL our fitness-to-fun quotient is something like 60/40, not the standard "90/10 nutrition, six meals per day, bland foods only" advice we've all ignored so many times before. Follow my advice and work hard, so you can play even harder. Forget the meathead cardio routine. Who wants to spend an hour walking on the treadmill? Speed up your results, improve your athletic abilities, and get out of the gym faster with high-intensity interval training (HIIT.) To do a HIIT workout, choose a rest/work ratio, a movement, and a goal number of intervals. If you're a beginner, start with shorter work periods and longer rest periods. As you progress, you can increase the amount of work you do and shorten the rest. You can also increase the number of intervals you do. Intense pre-workout energy for maximum focus and amplified pumps. 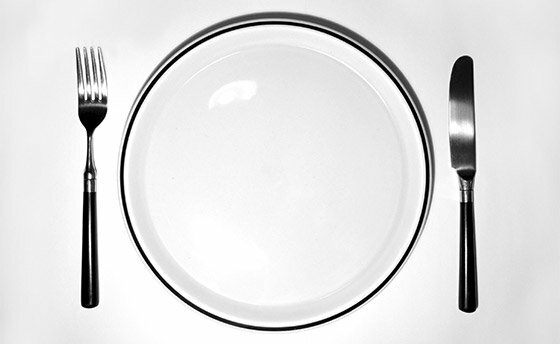 Follow intermittent fasting (IF) to save your calories for evenings. Your life doesn't have to be controlled by the lame, played-out mantra of having six perfectly portioned, perfectly unsatisfying meals every day. Think of it this way: If you've been eating the same way for years and not seeing the results you feel like you should, what do you have to lose? Giving one of the IF variations a go—there are many, by the way—could be just the thing to help you break through your rut. Sure, you'll feel hungry—maybe even hangry—at first, but you won't croak. Plus, a growing number of actors and athletes swear by systematic fasting protocols to stay dialed in and ready for epic performances. Eight-hour eating windows, morning fasts, or weekly fast days—try whichever approach you want, but don't dismiss it out of hand. There's no feeling quite as triumphant as opening up your feeding window and letting the good times in! A growing number of actors and athletes swear by systematic fasting protocols to stay dialed in and ready for epic performances. For shorter, more effective workouts that leave more time for the rest of your life, drop the isolation moves and never-ending circuits. Instead, get more bang for your training buck with free-weight classics like deadlifts, squats, cleans, presses, rows, and other compound lifts. If you've been 3x10-ing everything for years, try 5x5 or 4x6 instead. You may be surprised at how quickly you progress. Everybody likes to feel good. Everybody likes to look good. Don't Think In Terms of "Show" vs. "Go"
Online opinionators like to act as if you can split everyone in the gym into two camps: athletes and bros. But here's a news flash: Everybody likes to feel good. Everybody likes to look good. And last time I checked, most of us are neither an Olympic athlete nor a cover model. So why judge ourselves by their standards? 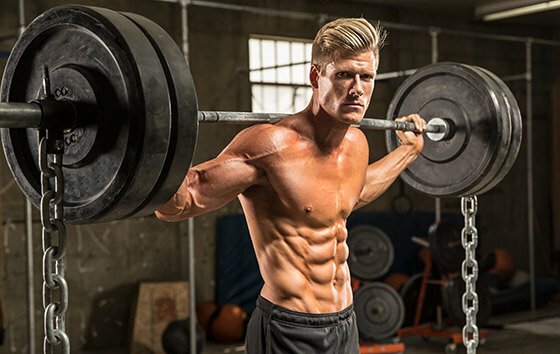 Don't beat yourself up because you can't squat double your body weight or rock a six-pack yet. Just keep improving little by little, and celebrate every one of your triumphs. When someone compliments you or you hit a nice round number, accept it. Then move on and set a new goal. If you're struggling to find the time, do what's necessary to get your training wrapped up during the week. Lifters oftentimes follow training splits that require up to six days a week of training. This can be great if the only goals you have for your weekend are working out and recovering from working out. But the rest of us have bigger plans. We think our precious weekend time is better spent having some fun or getting outdoors. If you're struggling to find the time, do what's necessary to get your training wrapped up during the week. Try doubling up your workouts on one or more days during to free up some time and get ahead. It might require you to get to bed a little earlier so you're not sleepwalking through your early morning workout, but once you get the hang of it, you'll end up feeling and performing better all the time. Seriously! Whoever it was that put healthy fats back on the menu a few years back needs to have a party thrown in their honor, with lots of guacamole. Delicious, healthy fats make life worth living! Having an occasional cheat meal won't derail your diet. In fact, it might help you stay on track. Better yet, if planned properly, it could actually help to fuel your gains. Instead of restricting yourself to lettuce and ground turkey for three months—only to scarf down an entire pie a week later—make that slice of pie, that juicy burger, or that handful of cookies work for you by centering them around your workout. Cluster sets are a novel training strategy that allow you to lift heavier weight than you typically do during straight sets. Simply put, they are low-rep sets with built-in short rest periods of around 5-20 seconds. You can perform a cluster set with any number of reps or sets, but keep in mind that cluster sets shouldn't be performed to failure. When using cluster sets, use a predetermined volume and load. Here's an example using the squat: Pick a weight that's about 85 percent of your one-rep max (1RM). Perform 2 reps, then rack the weight. Rest for 20 seconds, then complete another 2 reps and rest. Continue this sequence until you complete 5 total pairs of reps. Congratulations! You just performed 10 reps using a weight that you thought you could only handle for 3-4 reps. In 2009, at the height of my BMX career, my foot slipped off the pedal during a quadruple tail whip at a Nike competition in California. I tore my ACL, and my career was on hold for a while. I could have freaked. But instead, I trained like a freak in the gym for six months while a skate park was being built in the backyard of my house in South Florida. At the same time, I also learned everything I could about sports nutrition, protein, and amino acids. Not only did it help me recover faster and get back in great shape, but it also led to a business opportunity. I started EVL, and here I am. Nice success story, right? But here's the takeaway: As much I enjoy life and have fun, I never lose sight of the fact that workouts are their own reward. Results—whatever that word means to you—are great, but they're just the dessert. The months of incremental improvements are the main course. You might be skeptical. Don't be. Maybe it's the ENGN talking, but great workouts are the real prize of the fit life. There's nothing better than the feeling of iron in your hand, and the sound of plates clanking together during your favorite song. Then, somehow, those plates move and you conquer that weight, before pushing on and crushing even more. Now that's a rush worth living for! Nolan Heyer Slashed 21% Body Fat! Football left Nolan with many injuries, but his positive attitude helps him overcome any adversity!